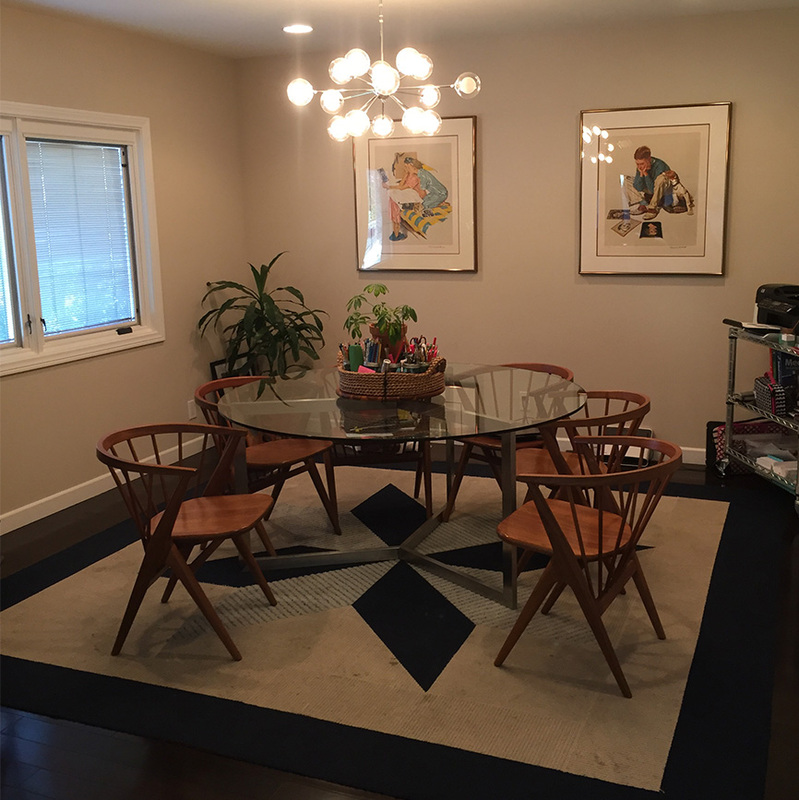 Stuck with an odd-shaped Breakfast Room, we embraced that shape and repeated that beautiful blue with our favorite go-to chairs from World Market, a Rug from Overstock and blinds from Select Blinds. Looks like a million bucks in there now! When your kids spend most of their time at home doing homework and eat meals in the Kitchen anyhow, consider turning your formal Dining Room into the Study Hall! That’s what this Room Lift customer did. 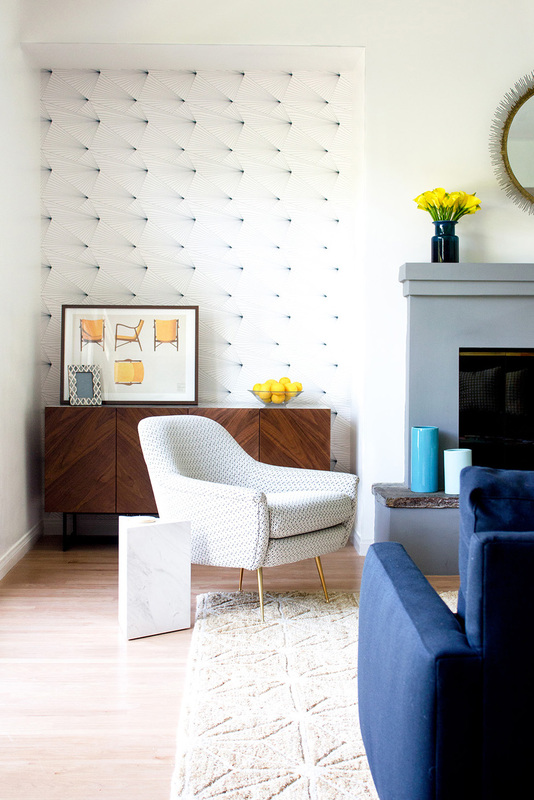 With a pop of color from one accent wall of wallpaper and a new rug, she kept her light fixture and art and managed to make it all feel new. This Room Lift customer would be proud to say she shed her ex-husband’s drab taste when she shed him! Bringing in some color and personality for this artist and her family with the upholstered pieces from Room and Board and that great are rug (it’s actually 2 sewn together) from The Company Store, the room is exciting but remains calm and restful. This customer came to Room Lift a self-proclaimed Room and Board lover! She wanted to branch out from there but couldn’t quite bring herself to. We stayed in her comfort zone and suggested a fabulous Inky Blue sofa from Room and Board and added a variety of stylish compliments from Anthropologie, CB2 and West Elm. It’s now a subtly sophisticated space for her friends and family to gather! This spacious Master Bedroom was a design challenge for this customer - too much wide open space! We separated out the Reading Nook with a totally different rug and faced her own Lounge chair away from the bed area. 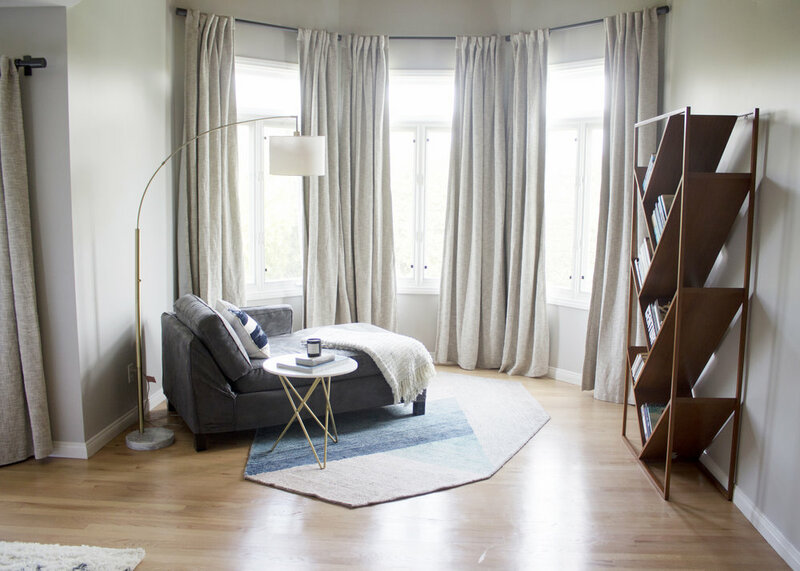 We kept her bed and suggested fresh white sheets, a pair of nightstands from Room and Board, lamps and some great pre-made drapes from West Elm to refresh it all. Oh and a coat of light Grey paint breathed a breath of fresh air in there that will last a long time! This family is a HUGE football family. During the season they watch 3 games at a time and often eat, drink and play on this workhorse of a sectional from Room and Board. Wanting this function without sacrificing style, the customer could not be happier. This customer loves her traditional home but wanted to freshen it up and make it feel lighter, younger and more beachy. A coat of white paint and a new layout with some fabulous velvet chairs from Anthropologie really transformed this space! In this Room Lift the customer was eager to shed the “old” that went along with her traditional decoration. She wanted to keep her beautiful wood furniture so we proposed a fresh coat of white paint, a new rug and new light fixtures and we think that more than did the trick! 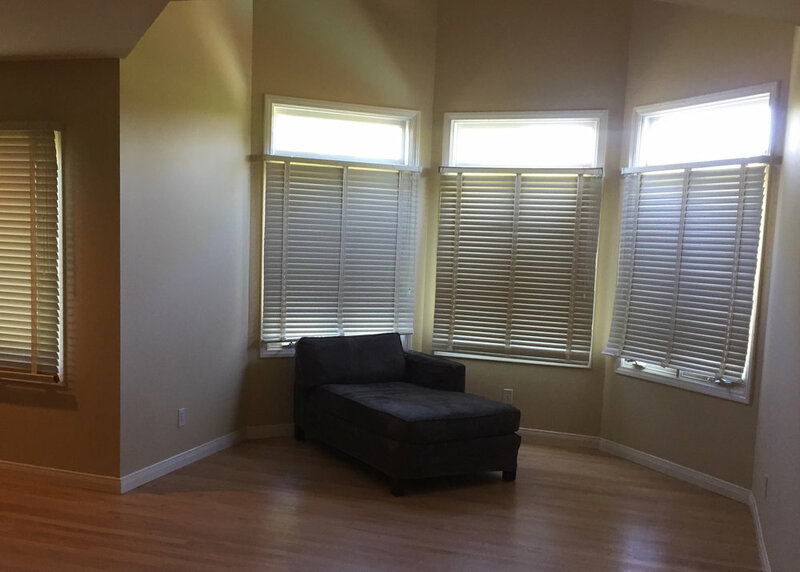 Looking to be comfortable in their TV Room and finally have seating for all of their family members, this Room Lift customer fell in love with the Pottery Barn sectional, these fabulous chairs from Orient Express and a Rug from a local shop. Once she was inspired by the choices in her box she was on a roll to accessorize the space all on her own! A cozy spot off to the side of the Master Bedroom was as anomaly for this customer who was imagining it as a seating area. With the Room Lift floor plan we provided, she saw how it could be a lovely reading nook for one (or a cozy two) with a gorgeous view! We even re-purposed her original lounge chair with a fresh rug, side table, pillow and fabulous CB2 bookcase! Win win! There is no better, more necessary and more exciting time to transform a room than when you’re expecting a baby! This couple took what was their Guest Bedroom/Office and turned it into a cozy Nursery for their first baby girl. Conscious of the budget, Room Lift offered a good many options and alternatives and our favorite trick of the trade - Anthropologie Knobs on that classic Ikea dresser! Often when you move, the furniture from your old home simply does not fit in your new one - size-wise and style-wise. This customer wanted a “grown-up” Dining Room where she could comfortably host her large extended family for formal dinner parties and also have an intimate family meal with her boys. Don’t miss the gold wallpaper on the ceiling! !